In order to face the coming challenges, the chemical industry must take a sustainable approach based on the rational use of feedstocks and raw materials. For this, fundamental chemical research and novel approaches into transforming matter must be developed. We at ICIQ consider that catalysis is the key activity for sustainable chemistry. Catalytic processes can minimize raw materials and energy consumption. 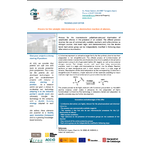 Catalysis is one of our main research topics and is also studied from the molecular recognition perspective. 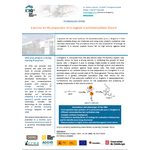 Thus, the second research topic of ICIQ includes the derivations of Supramolecular Chemistry towards the creation and explotation of smart molecular systems. ICIQ is also increasingly active in the field of renewable energies. Complementarily, attention has been paid to the development of a simple and efficient organizational model for ICIQ. ICIQ, in summary, has been created with a clear mission and tailored for excellence in chemical research. A process for the preparation of (‐)‐englerin A and intermediates thereof. establishment of the polycyclic scaffold of (‐)‐ Englerin A stereoselectively. analog compounds of the natural product from key intermediates. give our co-development projects with industry a strong starting IP position. As a research centre, our goal is always to codevelop our technology adapting it to the industrial partner’s specific needs and ultimately transfer the technology to this company, with a flexible licensing strategy adapted to each case. Process for the catalytic intermolecular 1,2‐diamination reaction of alkenes. The technology is laboratory tested and adaptation to specific substrates requires further development. We are looking for a partner willing to take advantage of the IP position to develop the technology in a joint manner, thus adapting the technology to its specific needs. The technology is available for joint co-development and licensing. At ICIQ, we file patents for our developed technologies in order to give our co-development projects with industry a strong starting IP position. As a research centre our goal is always to co-develop our technology adapting it to the industrial partner’s specific needs and ultimately transfer the technology to this company, with a flexible licensing strategy adapted to each case. Air and moisture stable anchorable catalyst for click chemistry. The developed catalyst consists in a functionalized tris(1,2,3‐ triazol‐4‐yl) derivative. Its copper(I) complex has proven to be highly air and moisture stable and to be an outstanding catalyst for the production of 1,2,3‐triazoles out of azides and alkynes, providing high yields in short reaction times. Thanks to its unique structure, the catalyst can be immobilized on a polymer resin so that the resulting heterogeneous catalyst can be recycled without significant loss of activity. The catalyst performs at low loadings and is compatible with a wide range of functional groups, which makes it ideal for applications in biosciences. To the best of our knowledge, this is the best catalyst for this reaction in terms of activity, reaction conditions and turnover frequency. ICIQ has optimized and scaled‐up the synthesis of the ligand up to 200 g.
We are looking for an industrial partner interested in taking advantage of the strong IP position for the finding of new applications of the ligand, especially in the biotechnology and performance materials fields. At ICIQ, we consider that patents are safe and solid tools to provide protection from competitors. This is why we file patents for our developed technologies: to give our co-development projects with industry a strong starting IP position. As a research centre our goal is always to co-develop our technology adapting it to the industrial partner’s specific needs and ultimately transfer the technology to this company, with a flexible licensing strategy adapted to each case. 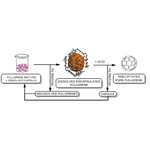 Purification of fullerenes by selective encapsulation mediated solid-liquid extraction. Current methods of fabrication of fullerenes lead to the obtention of fullerite, a material composed majoritarily of C60 (65%), C70 (21%) and C84 (5%). The processes used to separate the mixtures of fullerenes are usually based on chromatographic methods, that are expensive and scale-limited. The offered process for the separation of fullerene derivatives is based on a sequential selective encapsulation of the fullerenes, either starting from the fullerite or from the soot. The selectivity of the developed capsule might enable the sequential extraction of C84, C70 and C60 in this order. The process might also be used for the purification of endohedral metallofullerenes. We are looking for a company focusing its activities on the manufacture of nanomaterials that wish to adapt the technology to the purification of fullerenes. Joint development of the technology could be performed and enable the separation of endohedral metallofullerenes, which are known to have applications as MRI contrast agents. We consider that patents are safe and solid tools to provide protection from competitors. This is why we file patents for our developed technologies: to give our co-development projects with industry a strong starting IP position. Our goal is always to co-develop our technology adapting it to the industrial partner’s specific needs and ultimately transfer the technology to this company, with a flexible licensing strategy adapted to each case. Hypervalent iodine reagents for amination reactions. Amines and 1,2-diamines, especially their chiral derivatives, are valuable chemical building blocks. However, their obtention is usually tedious. The offered hypervalent iodine (III) compounds are readily available and can be obtained by reaction of a dicarboxylated iodoaryl derivative with a bissulfonylimide compound. Such compounds may be formed in situ for further reaction with the substrate or may be stored for use in other steps. These compounds are reactive enough to selectively introduce nitrogenated group(s) in alkenes, alkynes and ketones, without the help of a catalyst or a promotor, in mild conditions and with high yields. A chiral version of the diamination of styrenes could be developped. 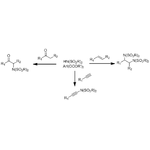 Such a selectivity and reactivity are unprecedented for this type of reactions. We are looking for partners willing to distribute or exploit these amination reagents, through a commercialization agreement, a license or a joint development project. Trifluoromethyl copper (I) compounds are useful in trifluoromethylation reactions but usually suffer from poor stability. Fluoroform is readily available in industrial amounts, inexpensive and is not an ozone depleter. However, the production of trifluoromethyl copper (I) compounds from fluoroform usually leads to the formation of the highly unstable trifluoromethylate anion. The offered technology enables to directly transfer a copper containing fragment to fluoroform without deprotonation, but via transmetallation, and proceeds very cleanly at room temperature, thus avoiding the formation of fluorinated side-products. Trifluoromethyl copper compounds are obtained in almost quantitative yields and can thus be used directly in reactions with electrophiles such as iodoarenes. We are looking for an industrial partner willing to develop this sustainable process to the industrial scale within a co-development project including the possible transfer of the IP to the partner. New Bisdiglycolamides as extractants of lanthanides [Ln(III)] and actinides [An(III)] from high-level aqueous wastes. Highly efficient and resistant extractant of lanthanides and actinides from high-level aqueous nuclear wastes resulting from the PUREX process to be used in the SANEX process (extraction of lanthanides and actinides from nuclear wastes) are offered. Indeed, their use provides good distribution coefficients during the process of co-extraction of An(III) and Ln(III) from aqueous nitric acid solutions, with reduced extraction times and preventing the formation of a third phase. Furthermore, these compounds also benefit from a high hydrolytic and radiolytic stability, as well as an improved selectivity in the co-extraction of An(III) and Ln(III) related to other fission products. Finally, ligands can be easily recycled. We are looking for a company specialized in the treatment of nuclear waste and willing to use our ligands in process optimization. At ICIQ, we consider that patents are safe and solid tools to provide protection from competitors. This is why we file patents for our developed technologies: to give our co-development projects with industry a strong starting IP position. As a research centre our goal is always to co-develop our technology adapting it to the industrial partner’s specific needs and ultimately transfer the technology to this company, with a flexible licensing strategy adapted to each case. 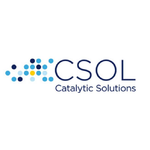 CSOL offers innovative, tailor-made catalyst solutions for homogeneous transformations, including enantioselective reactions. CSOL is a technology development unit belonging to ICIQ. ICIQ’s researchers are internationally recognised in their research areas, which span a wide range of catalytic transformations of industrial interest. CSOL’s mission is to act as the link between the researchers’ expertise and the industry. pharmaceutical, agrochemicals, cosmetic and fine chemicals interested in outsourcing contract research projects in the field of homogeneous catalysis including enantioselective transformations. 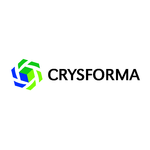 Crysforma has developed its own crystallization screening methodology based on the combination of several crystallization procedures. We use high-throughput crystallization systems controlled by highly skilled scientists to maximize the information drawn from each experiment. Our projects are always carried out in close collaboration with the client, adapted to the customer's needs and under strict confidentiality conditions. 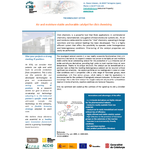 Crysforma is a technology development unit belonging to the Institute of Chemical research of Catalonia (ICIQ). We are looking for partners interested in outsourcing solid state development of APIs.